Monaco-based dry bulk shipping company Scorpio Bulkers has agreed to sell and leaseback six Ultramax vessels to AVIC International Leasing. 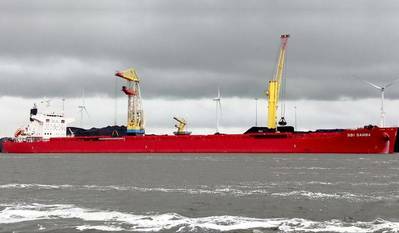 The dry bulk operator said in a press note that the six vessels are SBI Antares, SBI Bravo, SBI Hydra, SBI Leo, SBI Lyra and SBI Maia. Upon completion, which is estimated to take place in the second quarter of 2019, the Company’s liquidity is expected to increase by up to $62.4 million in aggregate, comprising up to $52.6 million upon closing after the repayment of outstanding debt and an additional tranche of up to $9.8 million for installation of exhaust gas cleaning systems (scrubbers) on the six vessels. As part of the agreements, the Company will bareboat charter-in the vessels for a period of eight years. In addition, the Company has purchase options beginning after the end of the second year of each agreement. There is also a purchase obligation for each vessel upon the expiration of each agreement. These lease financing arrangements are subject to customary conditions precedent and the execution of definitive documentation, it said. Scorpio Bulkers Inc. is a provider of marine transportation of dry bulk commodities. Upon the completion of the pending sale of two Kamsarmax vessels, Scorpio Bulkers Inc. will have an operating fleet of 55 vessels consisting of 54 wholly-owned or finance leased drybulk vessels (including 17 Kamsarmax vessels and 37 Ultramax vessels), and one time chartered-in Ultramax vessel. The Company’s owned and finance leased fleet will have a total carrying capacity of approximately 3.7 million dwt and all of the Company’s owned vessels will have carrying capacities of greater than 60,000 dwt.